A Munich court has ordered Nazi death camp guard John Demjanjuk to be released pending appeal of his conviction. He was found guilty of aiding the killing of thousands of Jews in Nazi death camp Sobibor in occupied Poland during World War II. Presiding Judge Ralph Alt made the announcement as he wrapped up his verdict on Thursday in the 91-year-old's trial. It could take six months or more for an appeal verdict to come. It is not unusual for people awaiting appeals in Germany to be freed and Alt said that Demjanjuk, who is stateless and was deported from the US two years ago, has no opportunity to flee. The 91-year-old retired Ohio autoworker, John Demjanjuk, who was extradited from the US for trial has been sentenced to five years in prison. Those who passed through the gates of Sobibor only did so once – there was no return. Unlike in other concentration camps, such as Auschwitz, there was no slave labor. People were sent immediately to their death. The unsuspecting Jews were welcomed by a band and fiery speeches from the Nazi commander, sometimes the rhetoric even won applause. Then came an invitation to shower after the long journey, but it was all a deadly deception. A quarter of a million Jews walked along a forest path called Himmelfahrt Strasse – or Street to Heaven. SS men escorted the victims down the track to the gas chambers. Only the Ukrainian SS guards and the German SS officers were allowed to take up the task. They were considered the best trained and the most reliable. It is alleged that one of those standing guard was John Demjanjuk, accused of being complicit in nearly 28,000 counts of murder. Among the people he is believed to have escorted to the gas chambers were many children. "I lost my friend and of course I miss him,” said Johannes de Maar. “He was 17, the same age as I was. I am now 84. I have had my life, my wife, my son is here. I could build up my life. He was only 17. He was taken to Sobibor, gassed and burnt." Before being sent to work at Sobibor all guards underwent intense training. 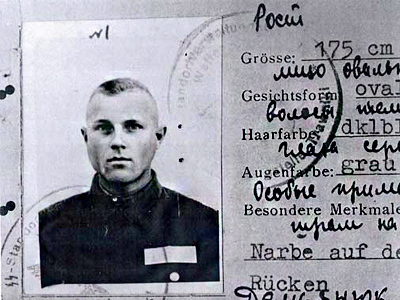 John Demjanjuk went to the Trawniki camp where the SS carried out weapons drills and combat training and were even taking German language classes. However, victims’ relatives believe all those who signed up as SS men were well aware of the duties they would be carrying out. Meryem Hufferner, whose mother was one of the lucky few who survived Sobibor, pushed for the prosecution of John Demjanjuk. She maybe in her 80s, but she made it to every court session. "She doesn’t want him to be imprisoned, for the rest of his short life,” Meryem Hufferner said. “He can go home or go wherever he wants to, but she wants him to admit that he was here and what Sobibor is. It is not soldiers against each other. It is killing people in a factory." "Every war criminal deserves his penalty,” believes Johannes de Maar. “How many years it takes it does not matter, but they have to be punished." 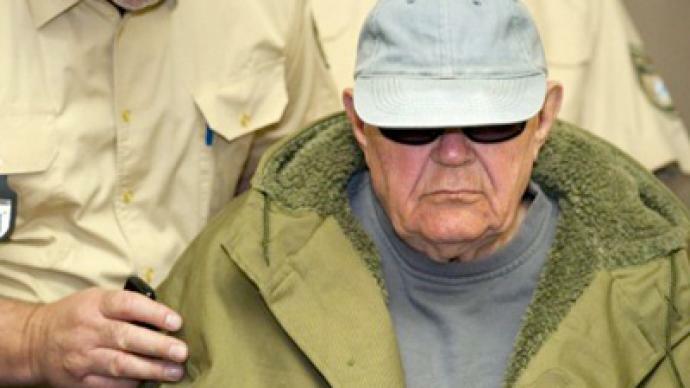 The Demjanjuk trial is a sign that the 21st Century is still prepared to deal with the evils of the 20th, and it is a warning that there is no expiry date for crimes against humanity.